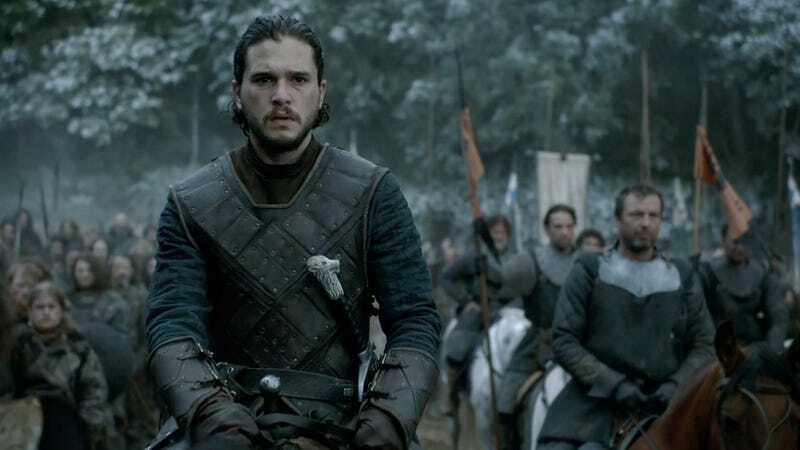 Game of Thrones has now won more Emmy awards than any other drama in television history, and it’s poised to break another Emmy record before the year is out. Game of Thrones nabbed nine awards at the 2016 Creative Arts Emmys on Saturday. As of last year, it was tied with The West Wing and Hill Street Blues for most-decorated TV drama with 26 Emmys. Now it’s got 35. “Battle of the Bastards” took home the cake, winning four awards for visual effects, editing, sound mixing, and makeup. Michele Clapton also took home an Emmy for her costume designs on “The Winds of Winter”- Cersei’s warrior queen outfit alone sealed the deal for that one. It’s very likely the total will get even higher when the live ceremony airs on Sept. 18. The show nabbed 23 nominations this year, and it’s still up for Outstanding Drama, Directing, and Writing. In addition, Kit Harington, Lena Headey, Peter Dinklage, Maisie Williams, and Emilia Clarke are all up for supporting awards. Sadly, only two can win. That means Game of Thrones will most likely beat Frasier’s record of 37 Emmys this year, making it the most-awarded scripted show in Emmy history. Right now, Saturday Night Live still holds the top spot as the most award-winning show with 48 wins. On Saturday, Amy Poehler and Tina Fey were the first duo to win a single joint Emmy for their dual SNL hosting appearance. Other winners included Amazon’s The Man in the High Castle, American Horror Story: Hotel, and Mr. Robot, which won Best Music Composition for its dynamic score. The Creative Arts Emmys continue with Night 2 on Sunday, and will air on Sept. 17, one day before the live Emmy Awards.